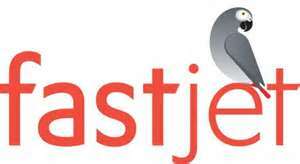 fastjet plc is pleased to announce its passenger statistics for the month of February 2014 and an extension of its existing EFF from £15 million to £25 million. fastjet operations in Tanzania carried a total of 35,100 passengers and achieved a load factor of 76 per cent. The average yield per passenger was $82, compared to $47 in February 2013. Total revenue for the month was $2.87m, a 135 per cent increase from February 2013. As expected, the passenger numbers carried by the legacy 540 businesses, particularly in Angola, continued to fall year-on-year as those businesses undergo significant restructuring. The Company also announces that it has agreed to extend its current Equity Finance Facility ('EFF') with Darwin Strategic Ltd. from £15 million to £25 million. All other aspects of the initial EFF agreement announced on 14th June 2013 remain unchanged. fastjet is also in talks with a number of potential long term investors. Whilst these are concluded the agreement with Darwin to extend the EFF is a prudent measure, which provides the Company with the flexibility to raise finance in the short term as required. "Our February performance continues to demonstrate how well the low cost model is working, producing strong average yields whilst still providing plenty of low-fare seats for passengers booking their seats early. The continued growth in passenger numbers and yields puts fastjet well on track to become cash generative as the route network and capacity increase." 2. "Passengers" for 540 operations are flown passengers and for fastjet operations are sold seats flown, in both cases excluding infants. Fastjet bookings are generally non-refundable whereas 540 bookings are in some circumstances refundable. 5. "on time" - arrival earlier than or within 15 minutes of schedule.